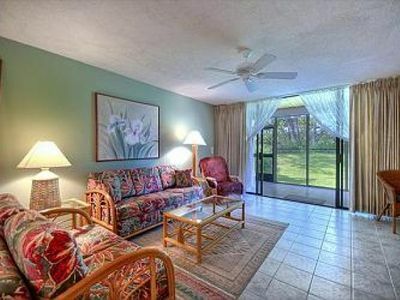 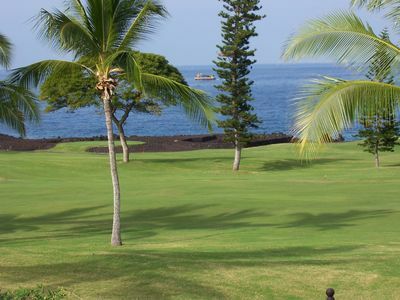 Condo 1-102 at the Keauhou Kona Surf and Racquet Club Resort is as close as you can get to the ocean on the Big Island of Hawaii. 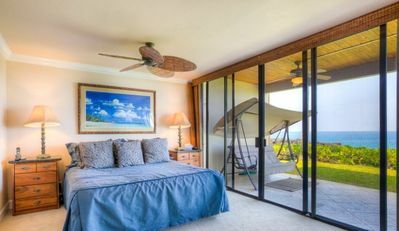 The condo section of the Keauhou Kona Surf and Racquet Club Resort was built when the construction permits didn't require resorts to be set back from the ocean as they are today. 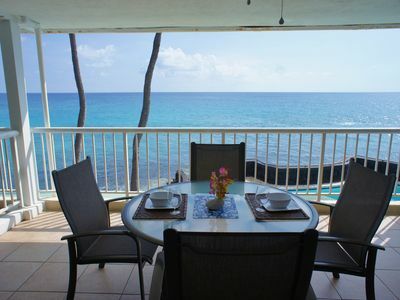 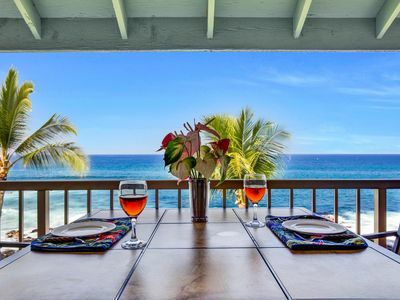 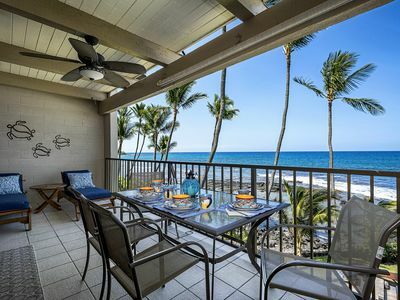 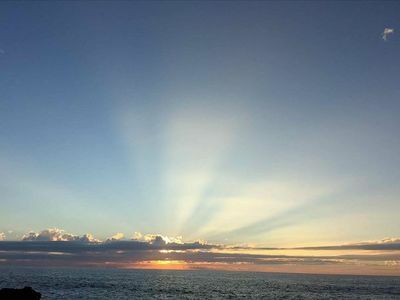 Amazing view of sunsets and breezes from our Hawaiian Trade winds cool you as you relax on the lanai which has an unobstructive view of the ocean.. 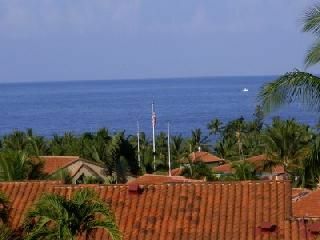 Both whales (in winter) and dophins in the morning have been seen from the lanai. 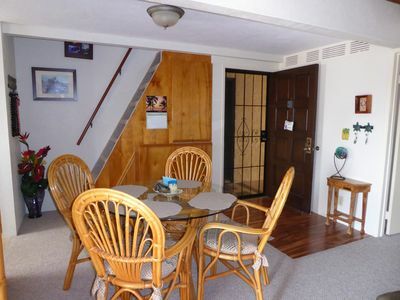 First floor unit prevents carrying things up and down stairs. 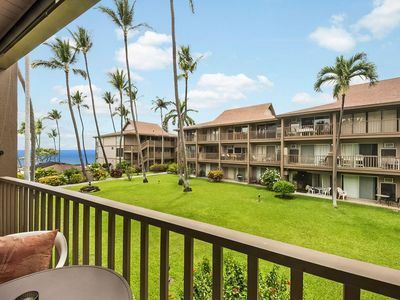 This specific complex is built on prime land which was once a favorite vacation spot for the king and once housed the King's home and dance floor. 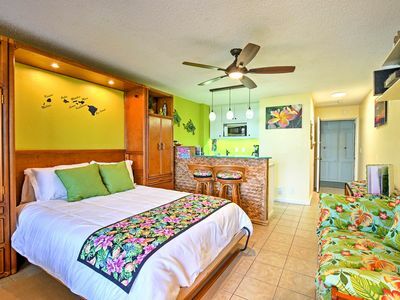 The remains of his home and dance floor are present nearby the pool and tennis courts and are part of a preserved archeological site.. 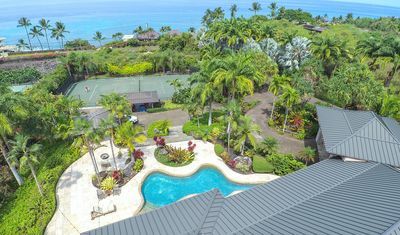 Private Luxe Kailua Kona Apartment w/Garden Views! 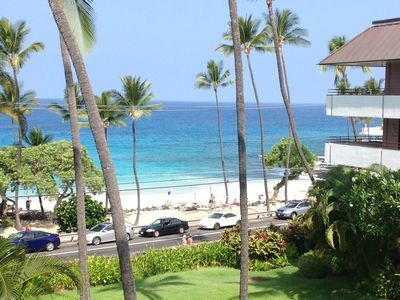 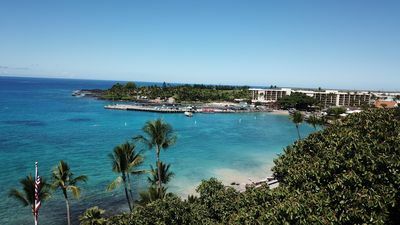 Great Town Location for a Kona Stay! 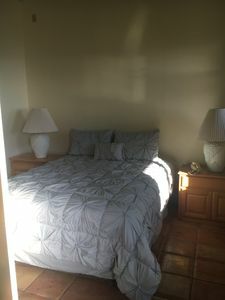 Very affordable summer dates available. 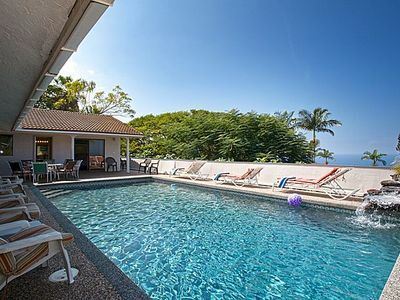 Perfect base for your Hawaii adventure. 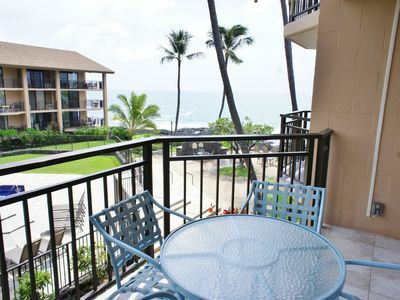 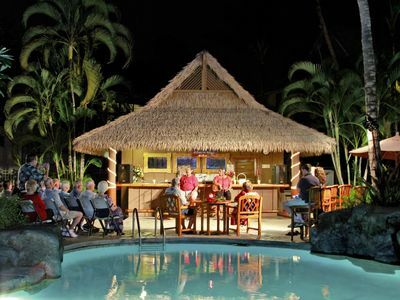 Hawaiian Ocean View Oasis, Blue Pool, Waterfall, Hot Tub,Thoughtful Amenities. 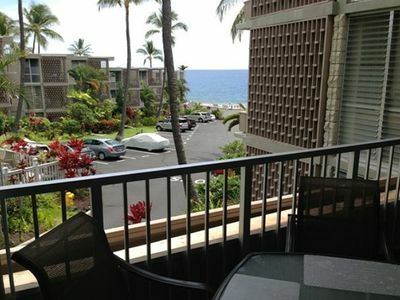 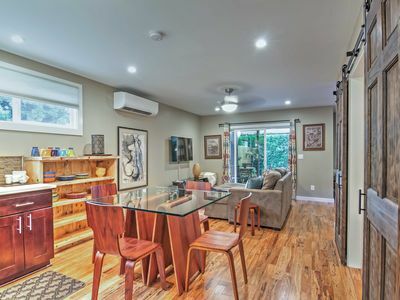 Downtown Kona Studio w/ Deck, Pool & Free Parking!